Regular readers know that I’m a zealous supporter of DIY artist residencies, so I was pleased to see that Andrea Zittel’s Wagon Station Encampment is featured on the Art21 website this week as part of their “Exclusive” web series. Zittel, represented by Andrea Rosen in NYC, is known for her Bauhausian conflation of art and life, turning every domestic choice and object, from clothing and furniture to housing and landscape, into material for her practice, which she dubs the Institute of Investigative Living. 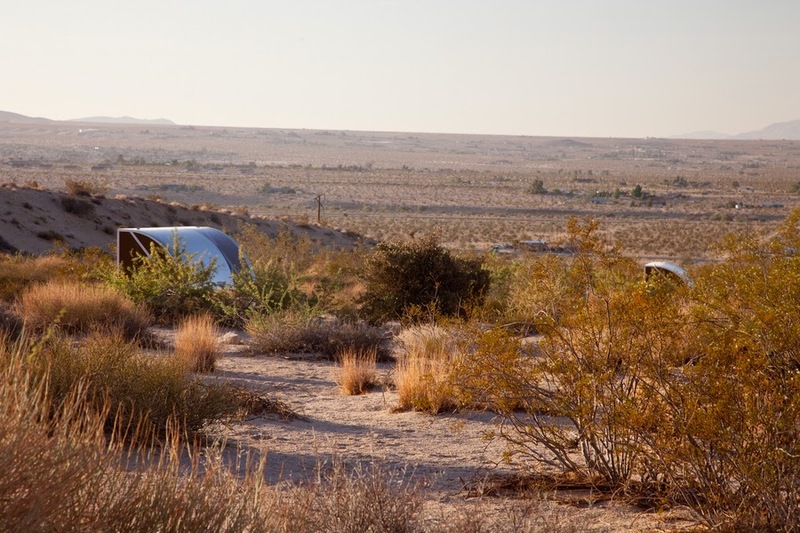 In the episode (posted above), Zittel and residents talk about the ongoing project, which comprises a series of sleeping pods and an open-air communal kitchen located next to Joshua Tree National Park on Zittel’s 35-acre property. 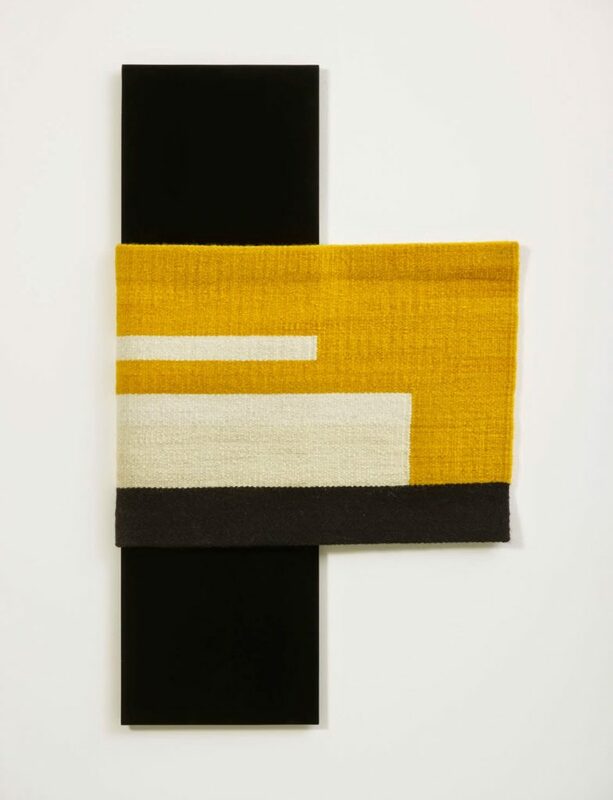 Andrea Zittel, Parallel Planar Panel (black, ochre, off-white), 2014.
authority of art history and ideology.” So true. 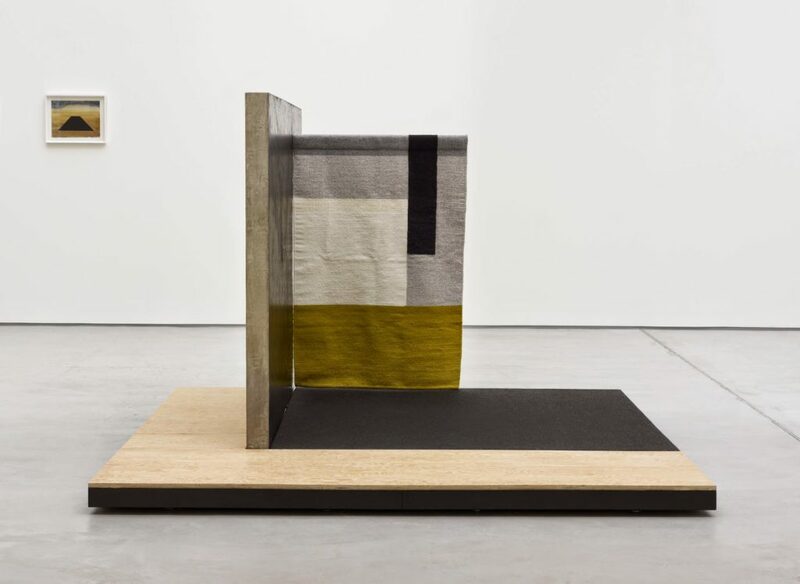 Andrea Zittel, Planar Pavilion, 2014.